Watching a Marvel film, with a few notable exceptions such as the playfully off the leash Guardians of the Galaxy, and the mischievously R-rated Deadpool, often feels like being trapped in some sort of real life Groundhog Day. Well made though many of the films are, they tend to feature the same basic plot, the same type of incompetent Big Bad, the same cartoonishly violent climax which resolves into the lead-up to the next installment in the Marvel Cinematic Universe (MCU). Good as far as it goes, and don’t get me wrong, many of the films carry their own particular appeal and charm, but it’s hard not to feel like it’s all part of one big pre-ordained narrative cycle (which, of course, it is) that doesn’t give anything out of the ordinary the opportunity to fully flower or breathe. Logan, far more than any Marvel outlier before it (the caveat of course is that it’s made by Fox so Marvel in name only), breaks the mould to an almost complete degree, jettisoning many of the tropes that can hang like narrative albatrosses around the necks of MCU films and being all the better for it. While there was talk by director James Mangold of including the almost mandatory post-credits scene introducing the character Mister Sinister at the end of Logan, he jettisoned that idea in order to keep the film wholly consistent from start to finish. The result of this and a great many other judicious decisions is a film that leaps off the screen with a dark vivacity and an emotional resonance that few, if any, of its MCU stablemates (however far removed), have come close to delivering. Logan is bold, gritty storytelling, a willingness to throw any and all cartoonish elements overboard in the service of a story that while viscerally, sometimes monstrously violent, is ever mindful of the fact that the real world, especially one as down in the existential dumps as the dystopian-lite 2029 setting, comes with real consequences, none of which can be easily resolved by a narrative sleight of hand. 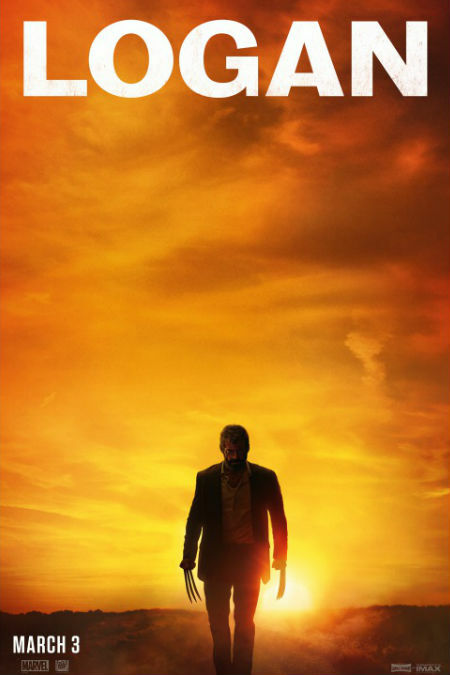 Logan is real, desperately, achingly, heartrendingly real, a harrowing journey with a future Wolverine (Hugh Jackman in his last outing as the character) who is being poisoned by the admantium metal within – placed there by the father of the villain of the piece, Zander Rice (Richard E. Grant), the head of Transigen – to save a young created mutant like himself, Laura aka X-23 (Dafne Keen, who is superlative in the role, balancing vulnerability and aggressive self-defence). Not being the warm and cuddly type by and large, Logan aka James Howlett, whose DNA remains the template for Transigen’s latest artificial mutants including Laura and the near-invincible X-24 (Hugh Jackman and some well-used CGI), is almost wholly resistant to help Laura, who is, genetically at least, and later on, emotionally, his daughter, escape the clutches of the evil corporation who are anxious to recoup their lost mutant assets. But as is the way of things, events overtake him, a senile Professor Xavier (Patrick Stewart also in his last outing as the famous X-Men leader) and their companion the albino mutant-sensor Caliban (Stephen Merchant), catapulting them far away from their remote Mexican home in a disused factory onto the road and a succession of fairly violent encounters with Rice’s men, led by Donald Pierce (Boyd Holbrook). The end goal is finding Eden, a mutant paradise that both Laura and her guardian, nurse Lopez (Elizabeth Rodriguez), firmly believe exists somewhere in Canada, a dubious goal that Logan pooh-poohs since it’s a concept drawn from X-Men comic books, but which becomes the default goal by simple virtue of the fact that Laura, and her fellow Transigen escapees, all of whom possess an array of mutant powers, believe in it so fiercely and unreservedly. Logan is a classic case of an unstoppable force meeting an immovable object, but with Laura being egged on and encouraged by Xavier’s renewed enthusiasm for the mutant cause, Wolverine ends up being no match for the young Mexican mutant in his charge. One of the pleasing things about Mangold’s touch, and the richly-nuanced screenplay by the director, Scott Frank and Michael Green, is that it moves and changes the nature of the relationship between Wolverine and Laura in such believable, authentic increments that you can’t help but buy the fact that the cynic, once motivated by money – he and Xavier plan to escape to the ocean on a yacht – soon becomes anything but. It means that the final, extremely violent confrontation between Transigen and the escaping mutants, aided and abetted by an impassioned Logan who is most certainly now doing it for the love, not the money, carries a powerful emotional charge, one that stays with you long after the movie ends. It’s this perfect balance between violence and rich-character driven emotion, redolent of many Westerns whose spirit it channels and to which it pays obvious homage through frequent visual and verbal touchstones such as the classic movie Shane, and that gives Logan much of its appeal. You never, ever get the sense that the slash-and-gore fest is an end in itself; this is not an empty vapid playing to the bloodthirsty masses; rather every aggressive move, every horrendously gory moment serves a purpose to underline that love and connection matter and cost dearly sometimes in ways no one can necessarily see coming. It’s this profoundly moving emotional bedrock that grounds Logan so beautifully, granting it the kind of deep, enduring relatability that many other superhero movies aspire to but never quite achieve. It is well near impossible to watch Logan and not realise again and again how much all of the narrative twists-and-turns are costing Wolverine, Laura, Xavier and Caliban, and those with whom they come into contact, and how real the consequences are for every single decision they make. This is comic book scenario grounded firmly in a real unforgiving world, with all the unpredictability, pain and fleeting joy this entails, and the Marvel Cinematic Universe, freed from its usual, sometimes debilitating constraints, is all the better for it.